When early Americans observed Christmas it was in a far simpler way than we do today. Though they honored the day as Christ’s birthday most of them neither decorated their homes nor gave gifts. There were regional variations though. Southerners celebrated by gathering their extended families for a time of feasting and dancing. The Pennsylvania Dutch decorated a tree as they had done in Germany. New Yorkers lit a Yule log and told stories of St Nicholas. Prosperous families exchanged gifts and that is where it all started. 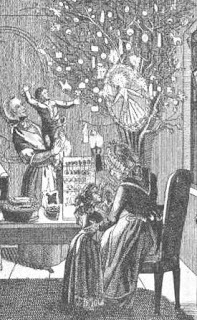 By 1830 gift giving and decorating with evergreens took hold and had been adopted by much of the country. 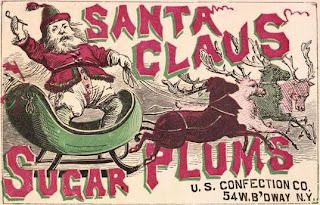 By 1860 most present day Christmas traditions were in place. Cards were sent, Christmas trees were decorated, families gathered for a Christmas feast, stockings were hung and Santa Claus was anticipated. And, of course, gifts were bought. At first the shopping flurry occurred just before Christmas, especially Christmas Eve. But the period of shopping expanded. In 1924 The first Macy’s Thanksgiving Day Parade started the tradition of Thanksgiving marking the beginning of the holiday shopping season. And here we are today still getting Christmas presents for those we care about. Though this year we may be buying some of them online. A shopping method no one would have ever imagined not so very many years ago.